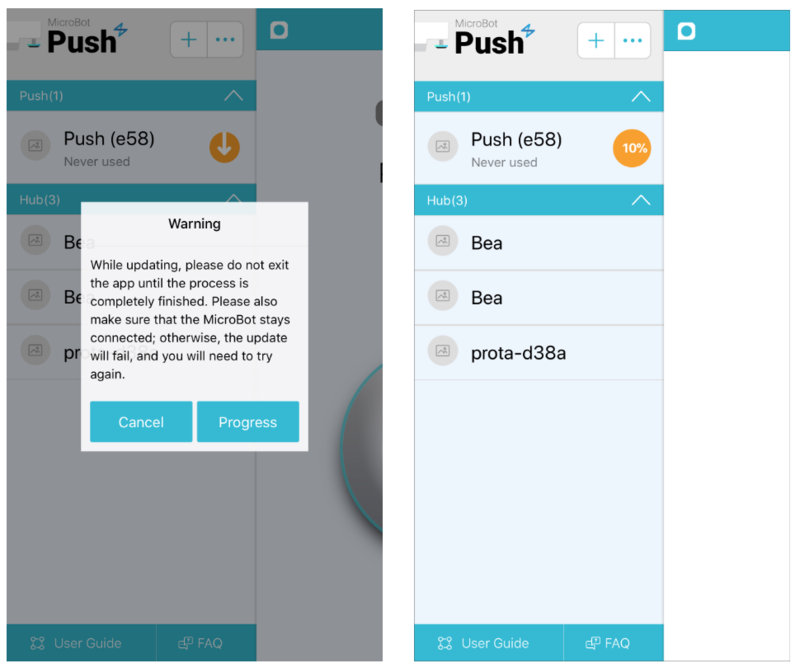 It is important to make sure your MicroBot Push is updated to the latest version in order to ensure an optimized user experience, enjoy bug fixes and new features. 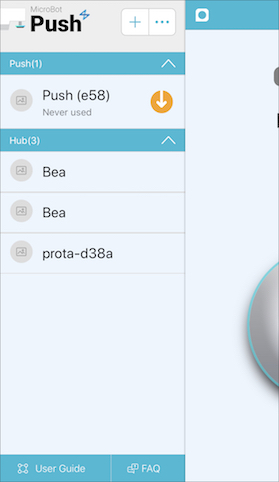 Thanks to MicroBot Cloud, MicroBot Push's firmware can be updated remotely, wherever you are. Check whether an update is available. Tap on the MicroBot icon at the top left corner to make the left side menu appear or slide from left to right. In the left side menu, if the icon below appears next to your MicroBot Push, then an update is available. Update MicroBot Push. Tap on the 'Download' icon, select 'Progress' and wait until the update is completed. WARNING! DO NOT leave the app while the update is in progress otherwise, it will stop. Note: This feature is only available from MicroBot Push 2nd Generation or MicroBot Push version 0.2.0 or above.